Check if you bought this rattle for your baby. If yes please read the full article for the safe of your baby. The U.S. Consumer Product Safety Commission and Health Canada in cooperation with Manhattan Group LLC, of Minneapolis, Minn. have recalled about 3,000 Whoozit® Starry Time Rattles in the United States and 150 in Canada. 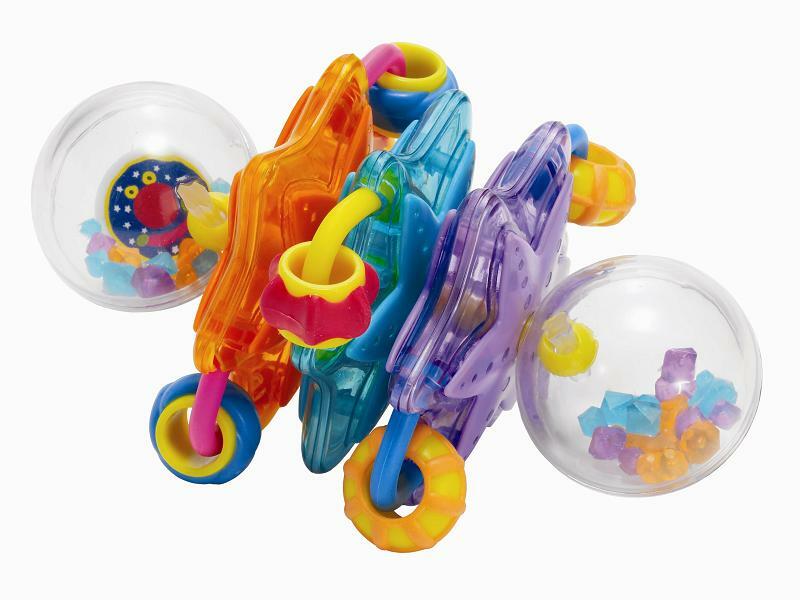 The clear spheres on each end of the rattle can break, releasing small parts, posing a choking hazard to small children. I invite you to read the full article on my site . It is important to follow up and get updates regarding babies products recalls. Almost every week there is a recall by companies. I follow them and you can follow me. Take care and have a nice and safety day with your baby! Like what you see? Great!